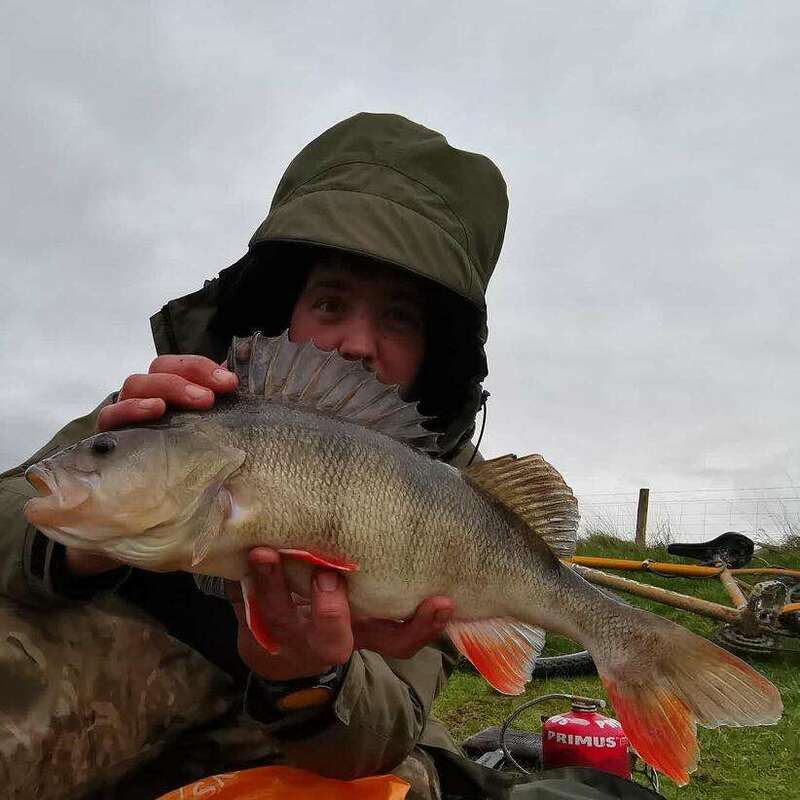 Dan Spearman has been among the 3lb perch again at Upper Tamar with a run of several perch to 3.04 since the new year. 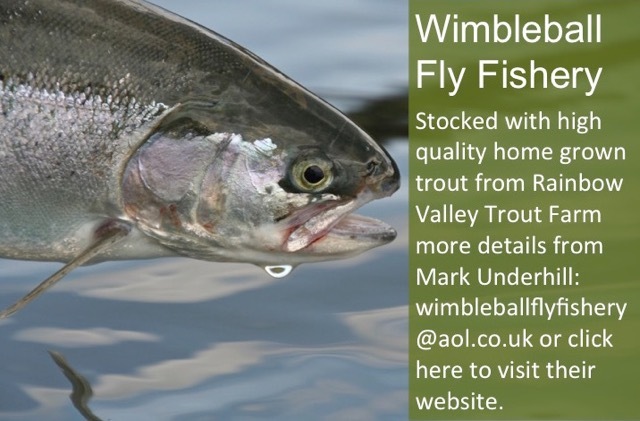 Dan is after the elusive 4lb+ fish which are in Tamar but it’s only a matter of time. 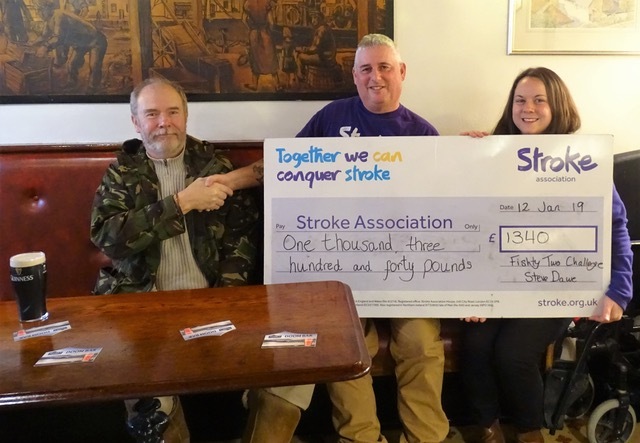 Congratulations to Steve Dawe on an amazing year of fishing and fund raising for the stroke association. I have already ordered my copy of Steves book recording his amazing year of species hunting and will review it within these pages. 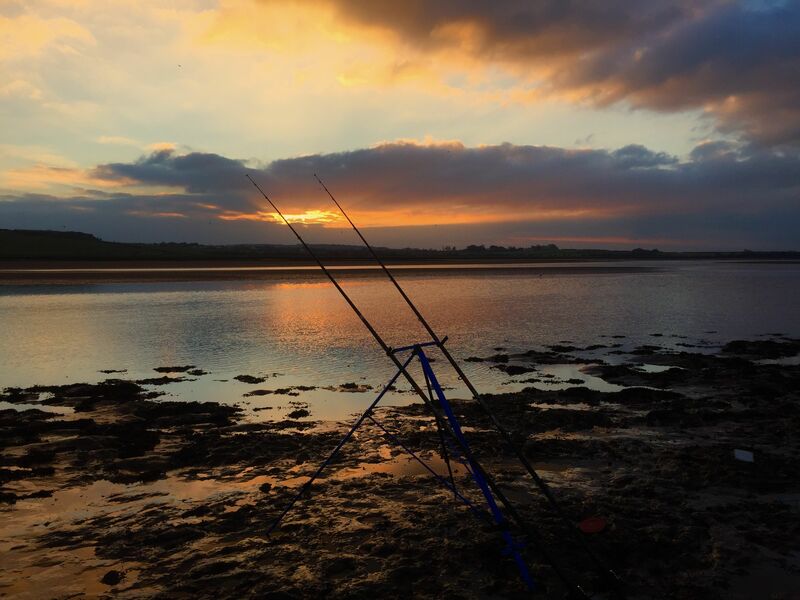 Many thanks to Steve for writing the below report for North Devon angling News. 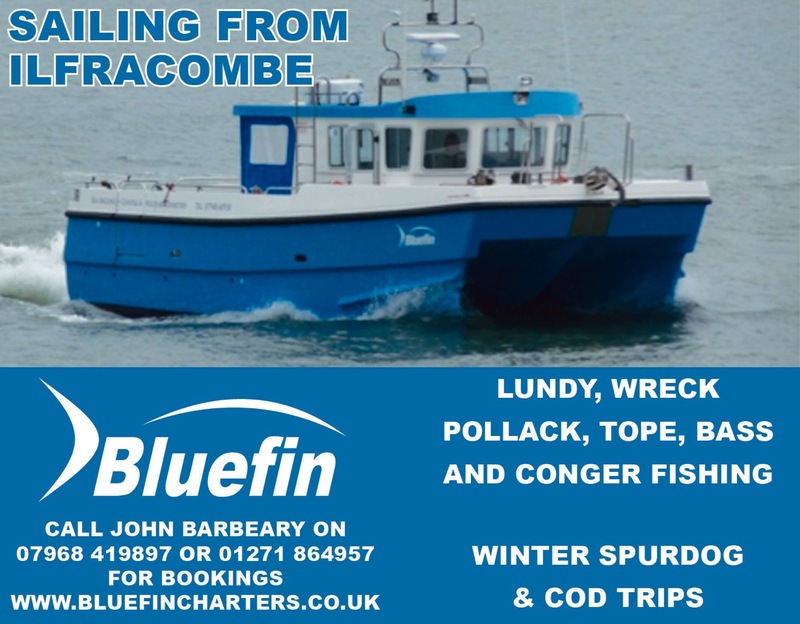 The challenge to catch 52 UK species in 52 weeks ended on December the 31stwith a final push to track down a 3 Bearded Rockling from a mark in Ilfracombe. Despite great advice on location and tactics from two very good North Devon anglers the species remained elusive although Pollack, Pouting and Congers provided a distraction. 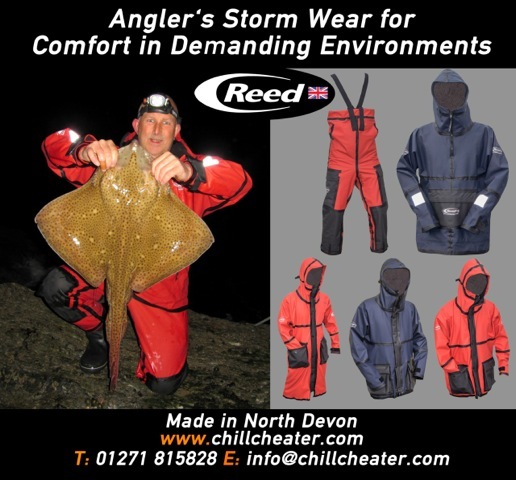 My final total for the year long challenge ended on 77 species when I finally got one of my nemesis species the Spotted Ray while fishing aboard Mike Webbers Teddie Boy out of Minehead. 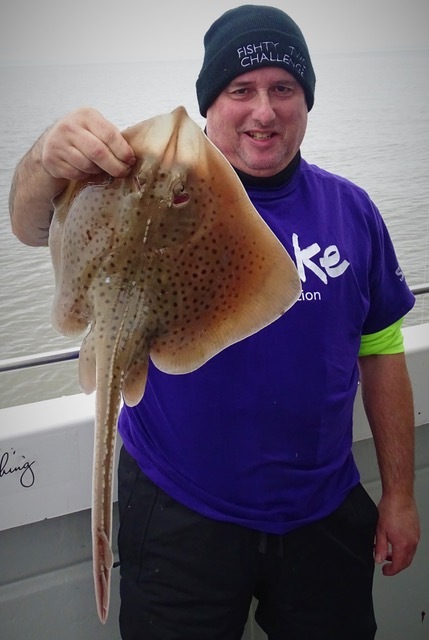 The Spotted Ray alone had taken 9 sessions across the year before I finally got the target, it does sum up the challenge that targeting a certain fish species presents. Fish just don’t read a script and despite anglers I know catching the Spotted Ray with impunity if you don’t have a slice of luck to add to the time spent on the bank then that magic fish can prove difficult. 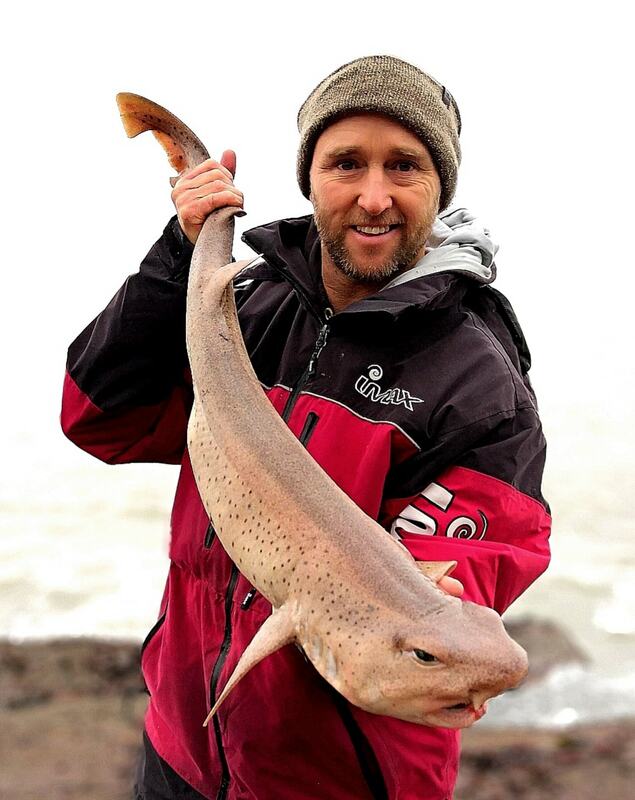 Over the year the North Devon Coast and Bristol Channel have been good to me on the species front with, Conger, Spurdog, Bullhuss, Dab, Hounds, Cod and Flounder all ticked off the list from the North coast. 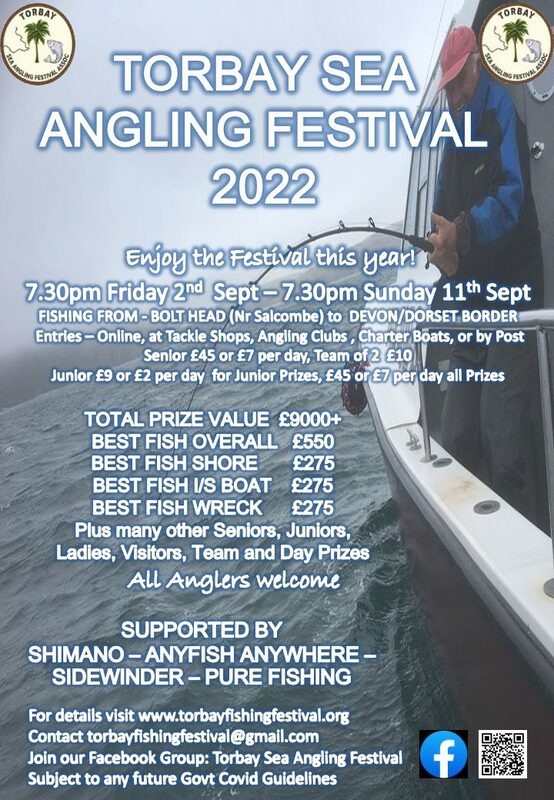 This was largely down to great skippers and unconditional advice from several of the North Coast’s best anglers, you guys know who you are, and I and the Stroke Association are extremely grateful. 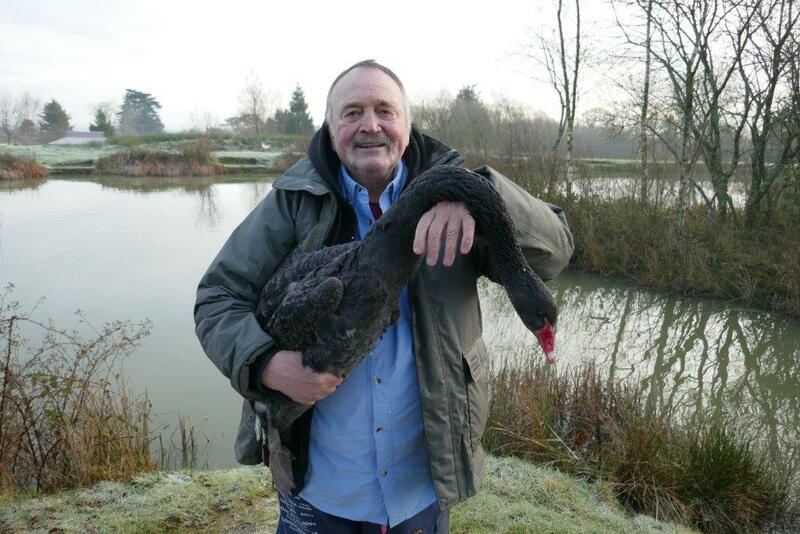 During the challenge I notched up over 7000 miles, 115 sessions, 52 sea species, 25 coarse and game. Out of that total 44, were personal bests, a statistic I am sure I will never match or exceed again. 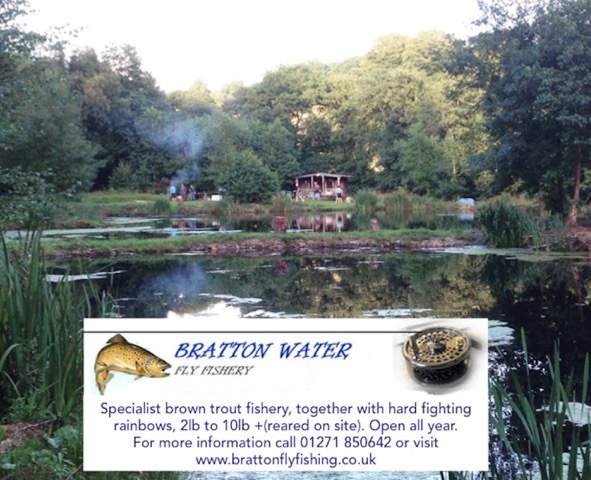 I must also thank Wayne who does a sterling job of reporting and promoting fishing events and achievements through his pages. 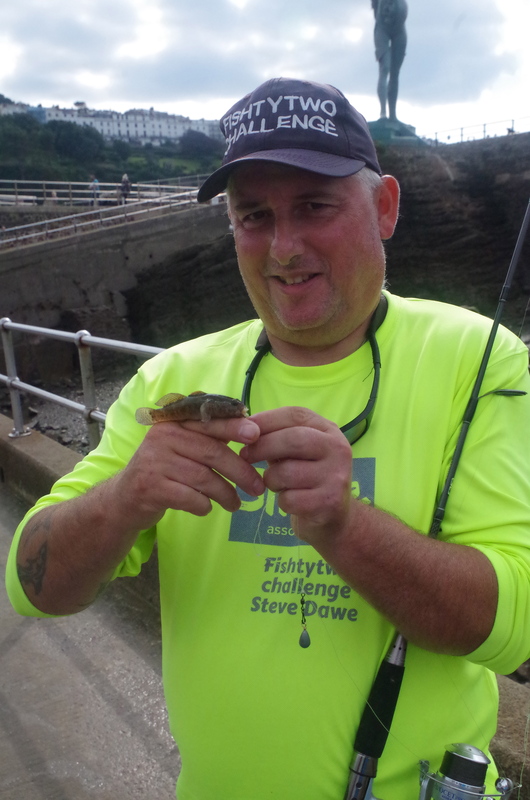 Wayne invited me to attend the Combe Martin Sea Angling Clubs annual fun day at Ilfracombe this summer, and it was a great few hours spent with future anglers catching mini species. 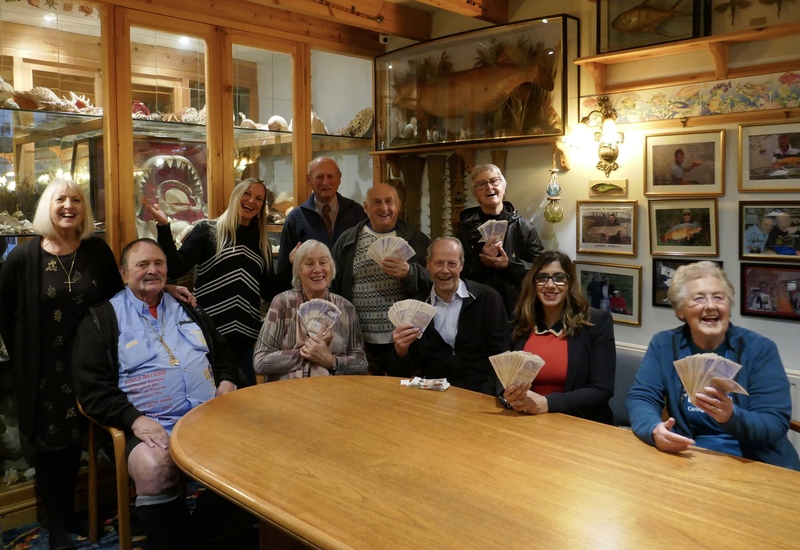 This event alone raised £25 for the charity in coin donations placed in the charity box, typical of the generosity shown by anglers and their families this year. Many people I met this year know someone or have had a family member effected by a Stroke, this life changing condition can affect everyone young and old. 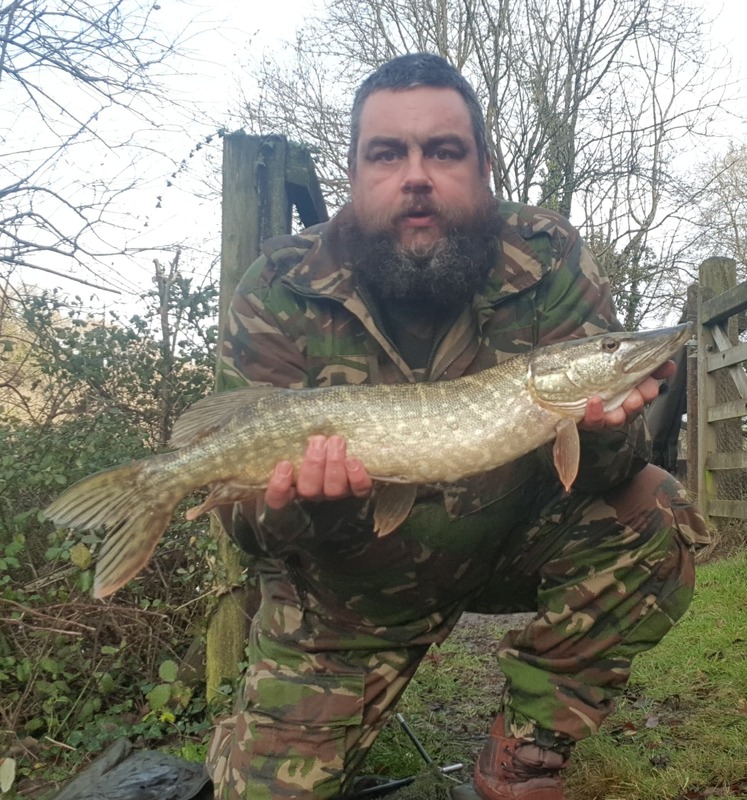 Last Saturday I was joined by my good friend and inspiration for this challenge Andy Adams, Andy was a dedicated angler who was hit out of the blue with a massive stroke. The stroke has left Andy wheel chair bound and in need of a full-time carer, what it didn’t take however was his fighting spirit. Together we presented a cheque for £1340.00 to Hayley Ali of the Stroke Association while at a lunch down in the port of Looe. 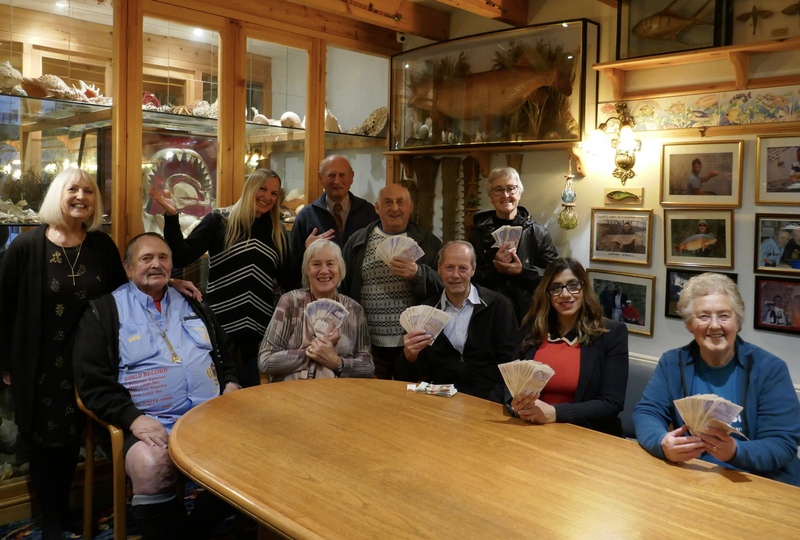 I was asked by several of the readers of my blog to consider writing a book of the year long challenge, I have managed to complete this to coincide with the cheque presentation. The book titled Fishty Two Weeks in a Yearis available from Amazon as a Kindle version and Paperback. All profits from the sale of this book will also go to the Stroke Association, so anyone buying are helping this great cause. Although I may have been the figurehead of this challenge it was only possible due to the copious amounts of goodwill, professionalism and support of my fellow anglers and friends so I salute you all. 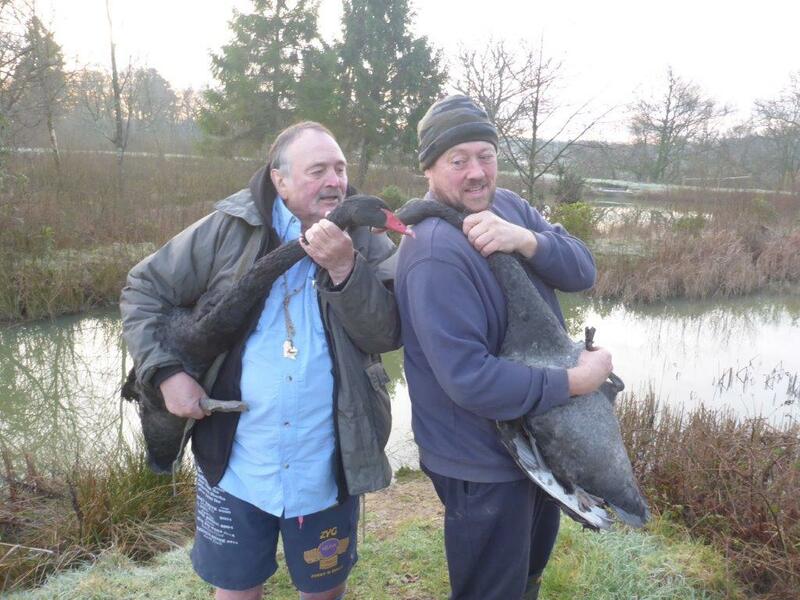 Christmas day – Smoothound an Xmas Eve huss and a few thoughts. 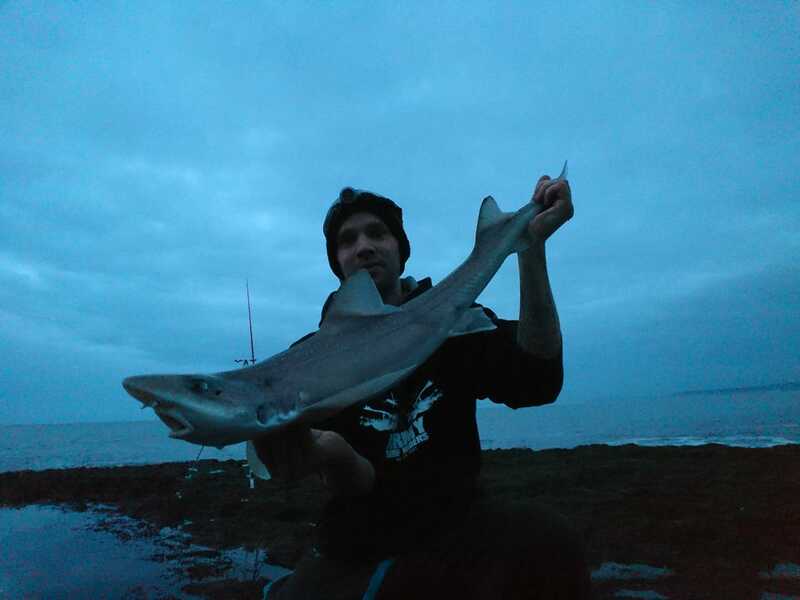 Kyle Blackmore took advantage of the quiet shores on Christmas Day to tempt this smoothound. Not a large specimen but a thought provoking fish at this time of year. 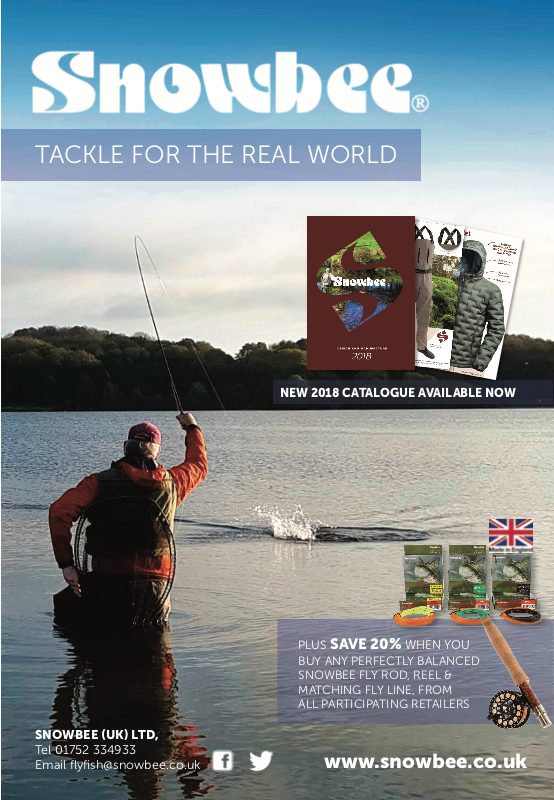 Catching fish outside of their recognised seasons has always happened but my gut feeling is that it is happening far more these days. 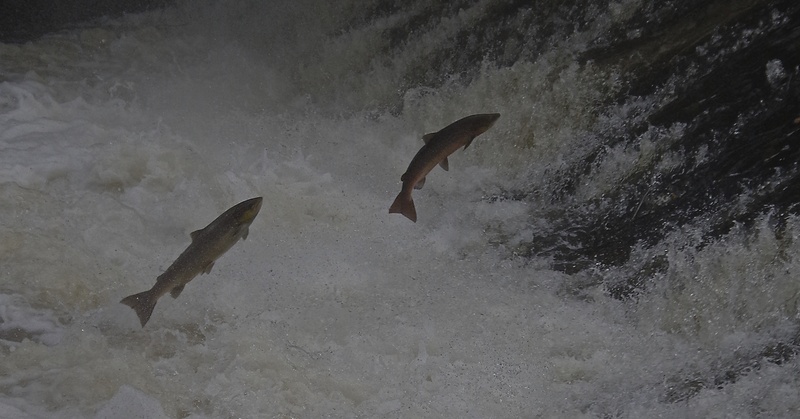 There are many factors that impact upon fish and fish migration climate is just one of these and as anglers we play our game on natures chess board casting our lines into ever changing waters. At Christmas and the New Year we often indulge in looking back and forth in time and social media has introduced an instant world that undoubtedly has its up and down sides. It is a fact that social media reflects good and bad in people so rather than condemn it as the new evil best to accept it as it is; taking the good with the bad as we always have in life. 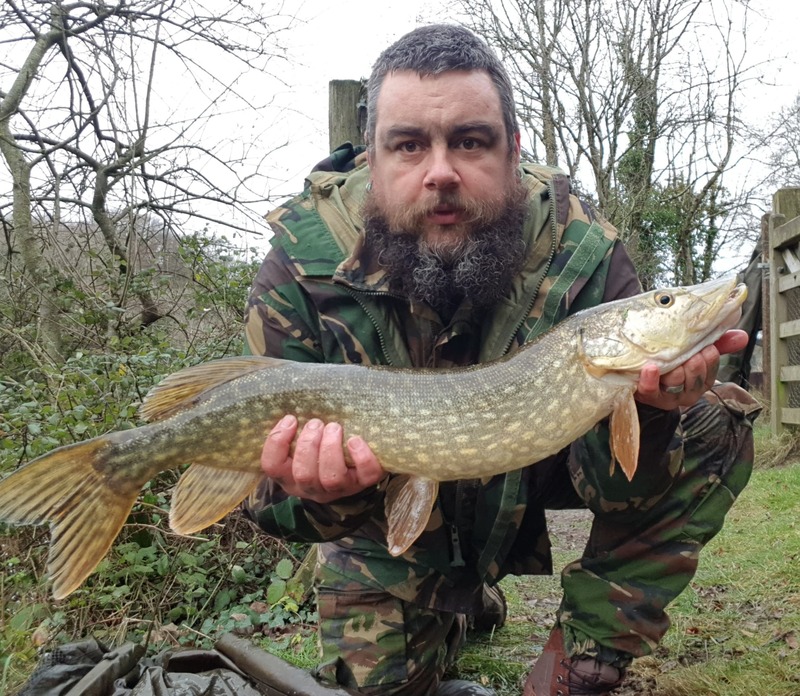 On North Devon Angling News I try to report in a positive way to promote angling and the enjoyment of angling. 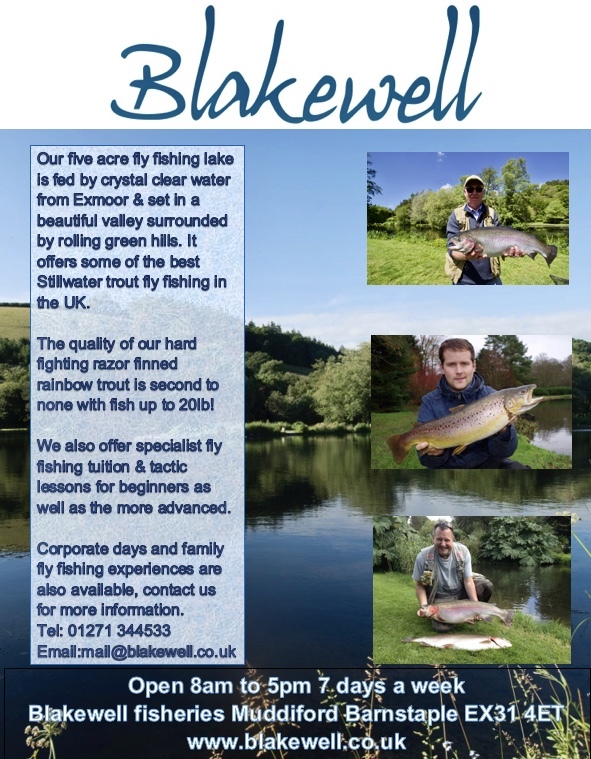 I started the website back in 2016 when I saw that traditional papers were in decline ( The North Devon Journal stopped rewarding their angling columnist), I still write the column in the Journal because I want angling to have its place in North Devon News but feel that most people get their news on line these days. 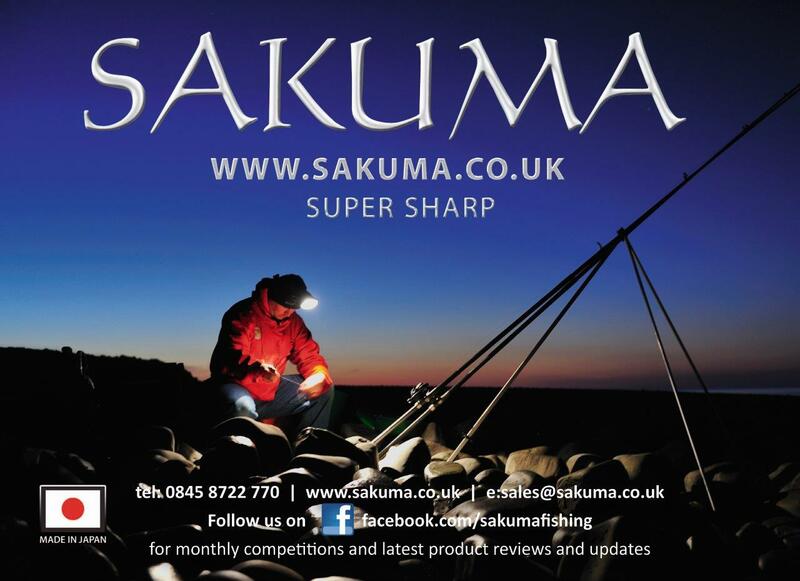 I hope readers enjoy what I try to do on this site and I welcome any features on local angling that you may be inspired to write. 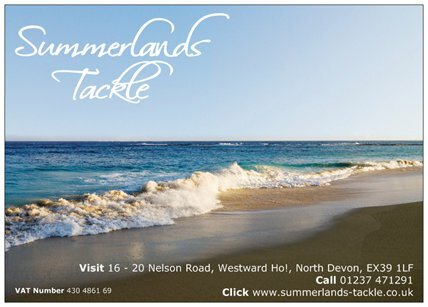 Please keep sending the news and images I do not reveal marks unless they are large easy access ones as I know this is a contentious area for sea anglers. Fish conservation and habitat are all factors that impact upon anglers and I try to promote good practice within my pages on this site. 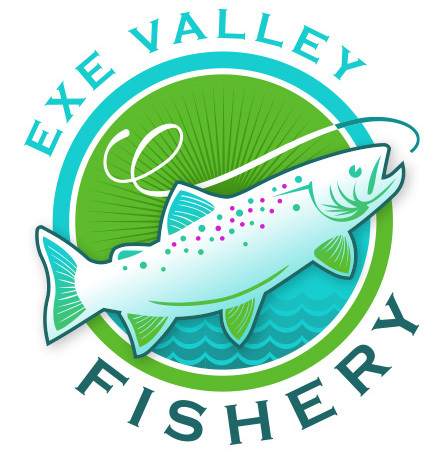 In many instances anglers are at the forefront of conservation efforts espeicially on our rivers with grace concerns regarding salmon and sea trout stocks. 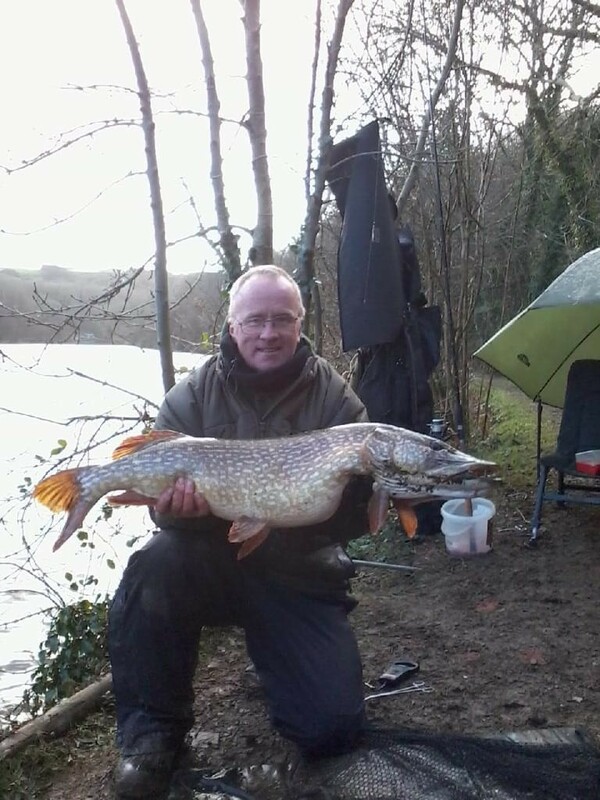 As I type this a latest report has just come in from Ian Laird ( Below) who landed this 9lb 8oz bull huss from a North Devon Rock Mark. 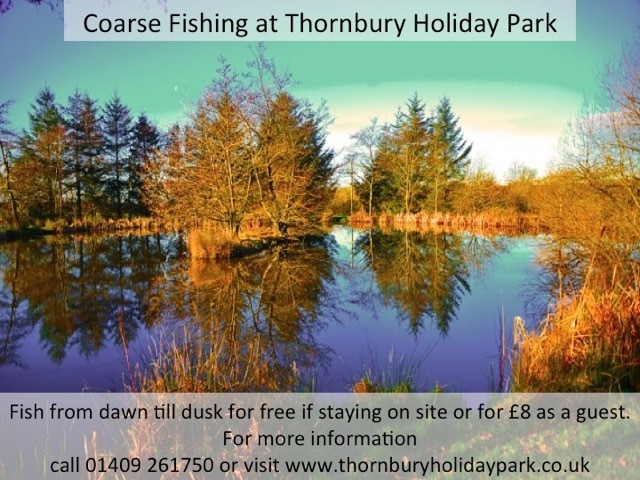 One observation on recent months is that I am getting good numbers of qaulity pictures from anglers fishing the shore line during day light hours. 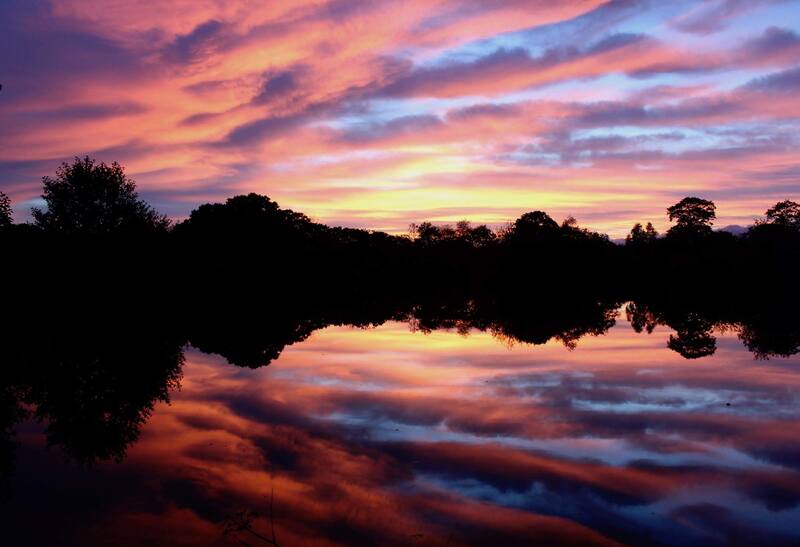 I have fished plenty of after dark sessions to be plaged by small dogfish and strap eels. 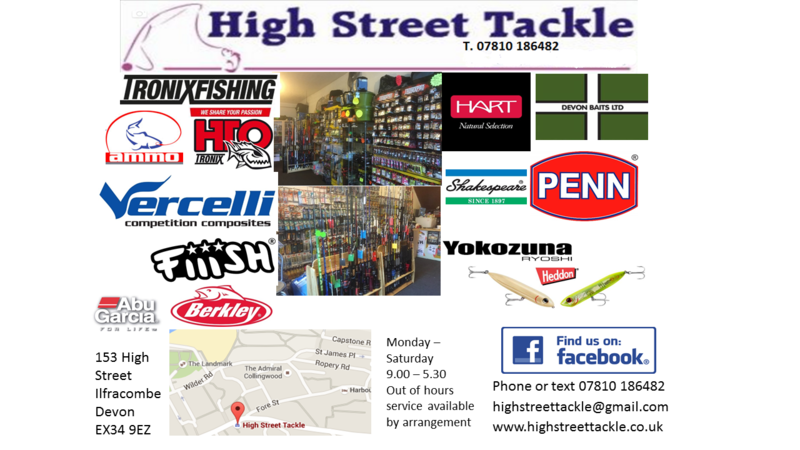 If you would like to advertise/sponsor North Devon Angling News please get in touch. I try to give good value to all my sponsors. 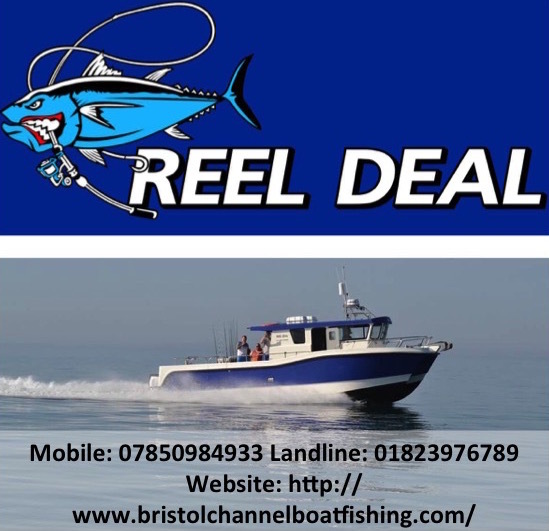 In the next few weeks my Intention is to add a few new features to the site giving more information on venues and whats on offer to anglers visiting North Devon. 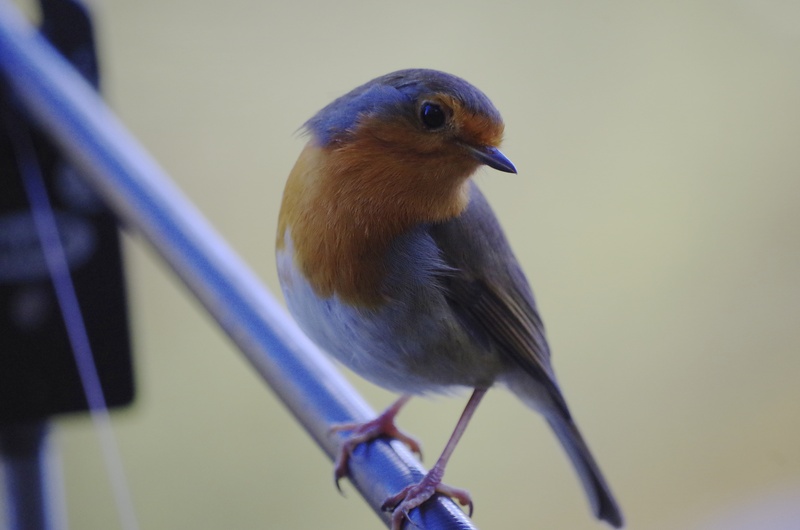 Many thanks to all who have contributed news and images over the past twelve months. 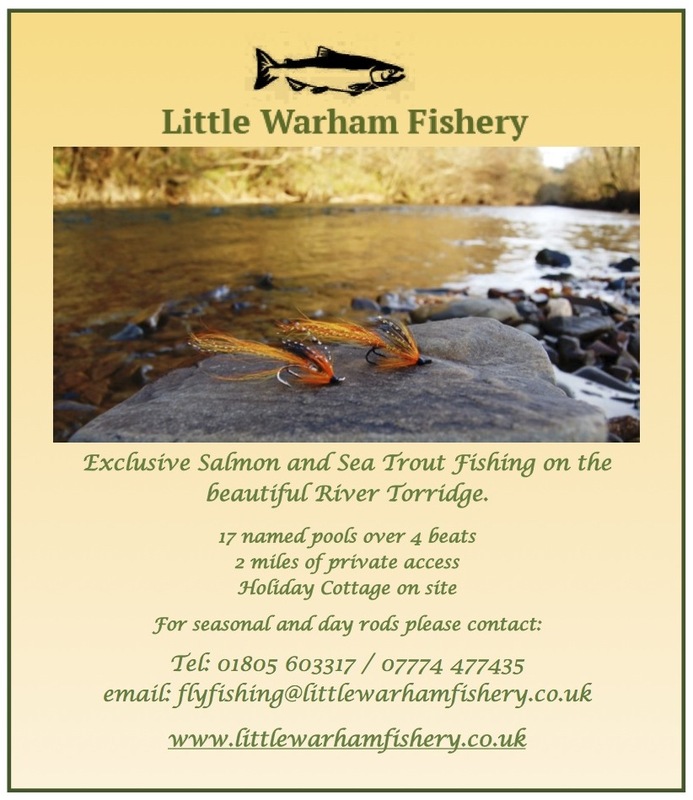 I wish you all a very Merry Christmas and tight lines in 2019. 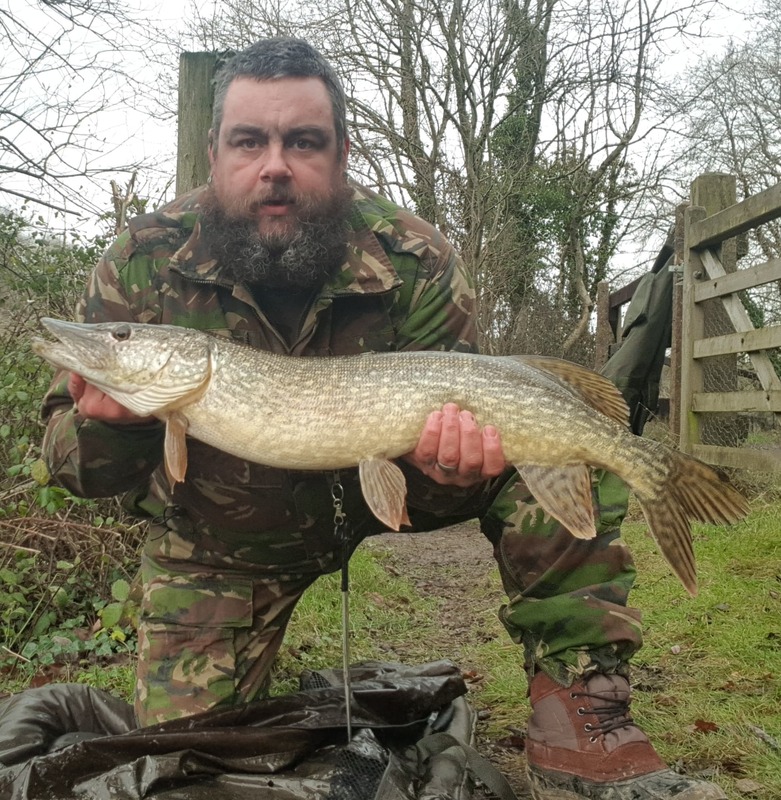 Richard Ball landed five pike to 11lb 8oz in a day session at Lower Slade Resevior for a total weight of 41lb 4 oz all but one fish were tempted using sardine the other preferred a herring. We’d like to thank all our customers for their generosity throughout the year. 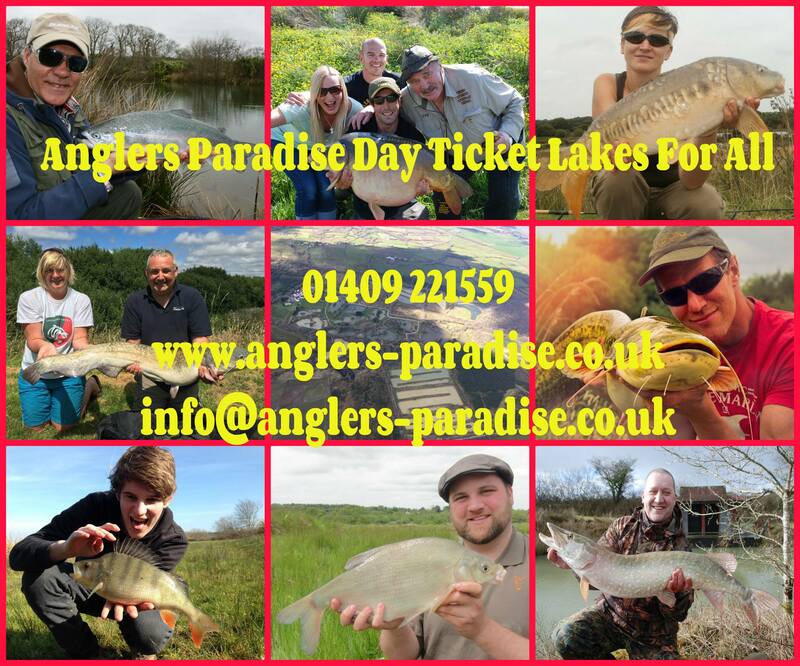 All year we continue to raise as much as we can at Anglers Paradise through doing Raffles, Quiz Nights, we also raise most of the money during our annual Netting week through events like Archery, Bingo Night, Race Night, Quiz Night, Treasure Hunt, Tombola, Pool and Darts competitions etc. Pictured is Zyg and Rose Gregorek and Daughter Zenia, Brian Kneebone of Devon Air Ambulance, Sally Hill from Blake House Surgery, Head Teacher of Halwill Primary School Ruh Alford, Sarah Gainsbury and Roger Young of Holsworthy Food Bank, Reginald Harnel of Okehampton Food Bank and Jill and Paul Voaden of Hospiscare. 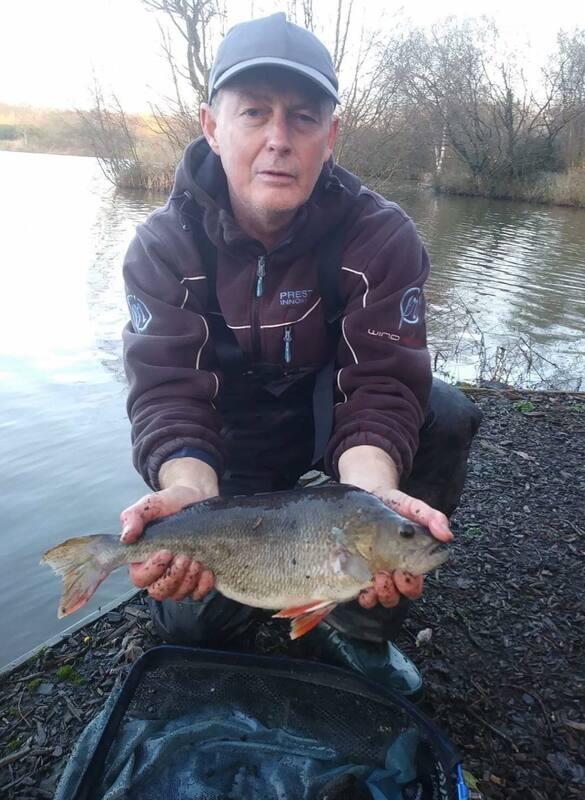 Stafford Moor is renowned for its Specimen Carp and bumper Match fishing nets but is also holds a good head of other specimen fish including perch and huge eels. 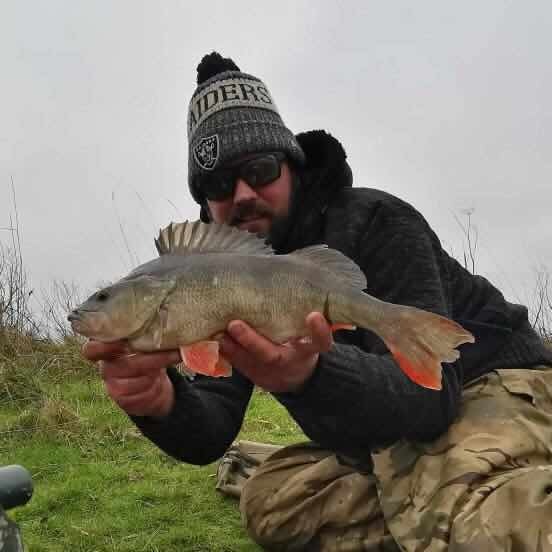 Neilsen Jeffery is a well known Match angler but enjoyed a great pleasure session on Beatties Lake landing several bream and this stunning perch of 3lb.